Grand Park Otaru is a hotel in Hokkaido that is an elegant oasis of space and calm overlooking Ishikari Bay and the Otaru Marina. Managed by international hotel chain, Park Hotel Group, it is the only international luxury hotel in Otaru. The picturesque sea-trading port of Otaru is a city renowned for its quaint romantic streets, Victorian-style buildings and canals, and glass-blowing cottage industries. This Otaru hotel is also in close proximity to top-notch golf courses and ski resorts. The capital city of Sapporo is an easy 35 kilometres away and can be reached by rapid train or car within 30 minutes. 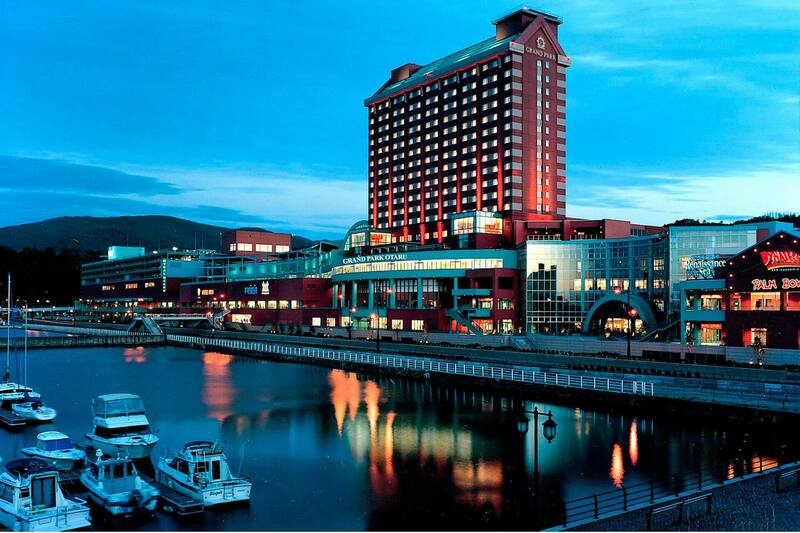 Casting a majestic reflection on the waters of Ishikari Bay, the centrally located 18-storey hotel is adjacent to Wing Bay Otaru, one of Hokkaido’s largest shopping malls, which is connected to the JR Otaru Chikko station. Make Grand Park Otaru your choice hotel when you travel to Hokkaido. Enjoy luxury accommodation in of the best hotel in Otaru Japan which consists 296 rooms and suites, boasting sophisticated furnishings and stunning vistas of the bay or sweeping mountain views. Grand Park Hotel Otaru is also host to world-class restaurants and bars in Otaru, such as the all-day dining Terrace Brasserie, Bay Lounge with its exquisite afternoon tea and Marina Bar & Restaurant, a venue for speciality sushi and award winning cocktails. For events and banquets, numerous function rooms, Western and Japanese style wedding chapels, together with a dedicated team makes this hotel in Otaru the preferred venue for memorable events. The Ishikari Bay area around Grand Park Otaru, will afford to offer many hours of pleasure. Take a stroll along the water’s edge to admire the yachts at the Otaru Marina or head indoors to Wing Bay Otaru – one of the largest shopping malls in Hokkaido. With direct access to the JR Otaru Chikko Station, the hotel is easily accessible from everywhere in Hokkaido. Come nightfall, the beauty of Ishikari Bay is amplified by the illuminated buildings and yachts which cast romantic reflections on the water. Where better to take it all in than at Grand Park Otaru. Please proceed through the Wing Bay Otaru Building from 10.00am to 8.00pm. After exiting the Otaru Chikko Station, enter the Wing Bay Otaru and head straight. Without walking down any stairs, you can enter the hotel via the second-floor entrance of the hotel. On the way, there are several signs pointing you in the direction of the hotel. Please take note that the business hours of Wing Bay Otaru are subject to changes. From 8.00pm to 10.00am, the Wing Bay Otaru building is closed. Go down the stairs from the station and with the Wing Bay Otaru building to your right, walk straight along the footpath and enter the hotel from the main entrance on the first floor. Please take note that the business hours of Wing Bay Otaru are subject to changes.